Liscio is an Italian traditional music and dance inspired to Waltz, Polka and Mazurka originating from the northern Italian region of Romagna at the end of the 19th century. The swirling pattern of Vicenza Designs Liscio line of cabinet jewelry will bring grace and charm to your home. The small round knobs of the Liscio family is available in Antique Brass, Antique Copper, Antique Gold, Antique Nickel, Antique Silver, Gunmetal, Oil-Rubbed Bronze, Polished Gold, Polished Nickel, Polished Silver, Satin Nickel and Vintage Pewter finishes. 100% lead free pewter. Handcrafted in the USA. Liscio is an Italian traditional music and dance inspired to Waltz, Polka and Mazurka originating from the northern Italian region of Romagna at the end of the 19th century. The swirling pattern of Vicenza Designs Liscio line of cabinet jewelry will bring grace and charm to your home. The large round knobs of the Liscio family is available in Antique Brass, Antique Copper, Antique Gold, Antique Nickel, Antique Silver, Gunmetal, Oil-Rubbed Bronze, Polished Gold, Polished Nickel, Polished Silver, Satin Nickel and Vintage Pewter finishes. 100% lead free pewter. Handcrafted in the USA. Liscio is an Italian traditional music and dance inspired to Waltz, Polka and Mazurka originating from the northern Italian region of Romagna at the end of the 19th century. The swirling pattern of Vicenza Designs Liscio line of cabinet jewelry will bring grace and charm to your home. 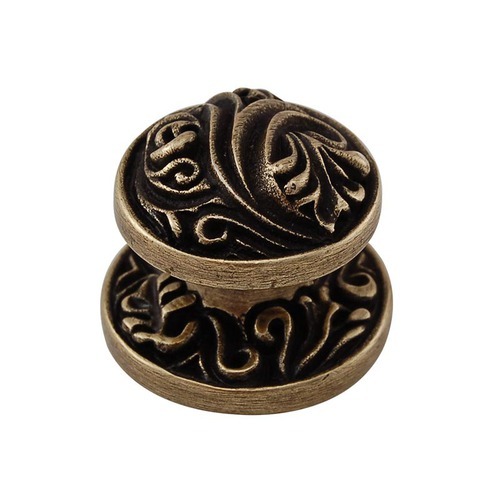 The simple design of this finger pull will make a lovely addition to your cabinets. Available finishes include Antique Brass, Antique Copper, Antique Gold, Antique Nickel, Antique Silver, Gunmetal, Oil-Rubbed Bronze, Polished Gold, Polished Nickel, Polished Silver, Satin Nickel, Two-Tone and Vintage Pewter. Mounting hardware is included. 100% lead free pewter. Handcrafted in the USA.